Casa de la Marquesa has five elegant bedrooms, all with spacious bathrooms en suite. Four of the bedrooms open out directly to the large patio while the fifth is in the main house. 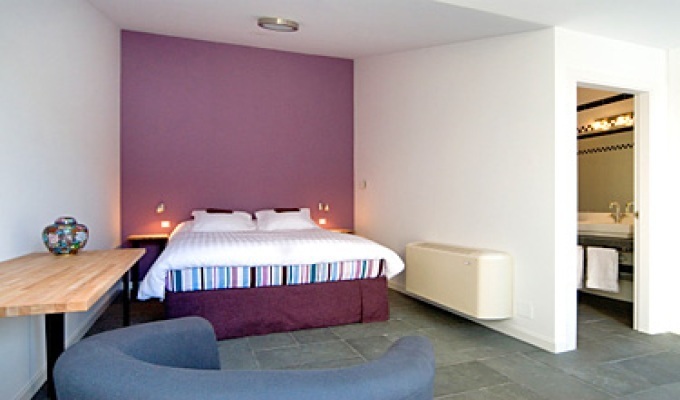 All rooms are equipped with a double bed, high-speed internet access and television. From the highest quality Coco-Mat beds to the art decorations of the rooms, we are confident that you won't be disappointed. Casa de la Marquesa serves a complete breakfast of fresh products including freshly squeezed orange juice, yoghurts, fresh fruit, toast, home-made bread, delicatessen products, cheeses, tea and coffee.